Italian bikes are lauded for their style, performance, and handling, but often derided for being fickle and unreliable mistresses. This particular machine flies in the face of conventional wisdom: it’s dependable, and not particularly good-looking. The T3 is really the Italian equivalent of the so-called Universal Japanese Motorcycle or “UJM”. A UJM from the 70’s or 80’s follows an unofficial template: they’re unfaired, with upright ergonomics and dual shocks. They are powered by air-cooled, in-line four with solid, usable performance. Guzzi’s 850T is a versatile machine: it’s not a sportbike, but it handles. It’s not a touring bike, but is comfortable and economical. Not a cruiser, but it’s classy and practical around town. The T is a do-anything machine: not spectacular at any one thing, but pretty darn good at everything. Except possibly stopping: the early T-series bikes had only a single disc and caliper at the front, so braking power and feel were not ideal. The later T3 bikes rectified this with a dual-disc front end and Guzzi’s simple, but very effective linked braking system. The T3 is based around the famous Lino Tonti-designed frame and 850cc Guzzi vee-twin, but with lower specification than found in the V7 or Le Mans. With 9.5:1 compression, the bike pumped out 53bhp at 6000rpm. Not spectacular, but those specifications don’t really highlight the fat chunk of torque the rider can use to sling the bike lazily down the road for hours on end. If the bike has a shortcoming, aside from the brakes of the early models, it’s the bland looks. 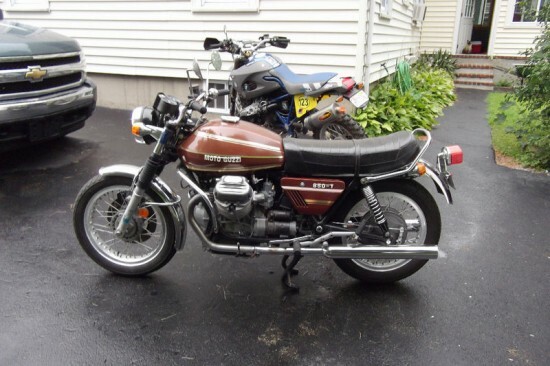 You could easily miss the funky, sticky-outy cylinders of the longitudinally-mounted Guzzi twin, get lost in the muddy brown paint [factory color!] 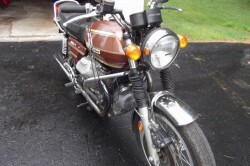 and think you were looking at some other old, washed out, brown 70’s bike. But you’d be missing out. 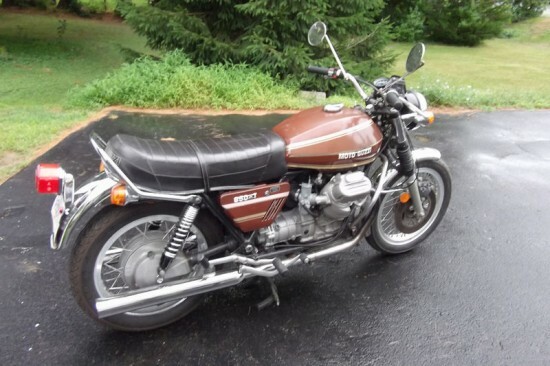 1981 Moto Guzzi Monza for Sale with 99 Original Miles?! 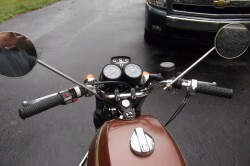 Rare SportBikes For Sale » Blog Archive » ClassicSportBikesForSale.com and RSBFS Facebook Weekly Update!